The Beatles’ rooftop concert was the final public performance of the English rock group the Beatles. On 30 January 1969, the band, with keyboardist Billy Preston, surprised a central London office district with an impromptu concert from the roof of Apple headquarters at 3 Savile Row. In a 42-minute set, the Beatles were heard playing nine takes of five songs before the Metropolitan Police Service asked them to reduce the volume. Footage from the performance was later used in the 1970 documentary film Let It Be. The audio was recorded onto two eight-track recorders in the basement of Apple by engineer Alan Parsons,and film director Michael Lindsay-Hogg brought in a camera crew to capture several angles of the performance—including reactions from people on the street.When the Beatles first started playing, there was some confusion from spectators watching five stories below, many of whom were on their lunch break. As the news of the event spread, crowds of onlookers began to congregate in the streets and on the roofs of local buildings. While most responded positively to the concert, the Metropolitan Police Service grew concerned about noise and traffic issues. Apple employees initially refused to let police inside, ultimately reconsidering when threatened with arrest. The Beatles’ rooftop concert marked the end of an era for many fans. 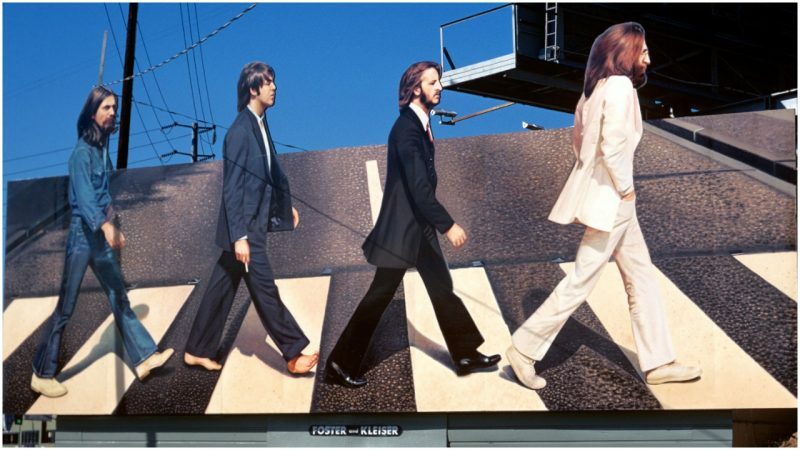 The group would go on to record one more album, Abbey Road, but by September 1969 the Beatles had unofficially disbanded.Several of the rooftop performances, particularly that of “Dig a Pony”, showed the Beatles once again in top form, if only temporarily. Fans believed the rooftop concert might have been a try-out for a return to live performances and touring.